From a newborn dressed as Batman to a staff member sporting a head-to-toe pumpkin costume, Halloween was a memorable occasion at Rosebridge Manor. 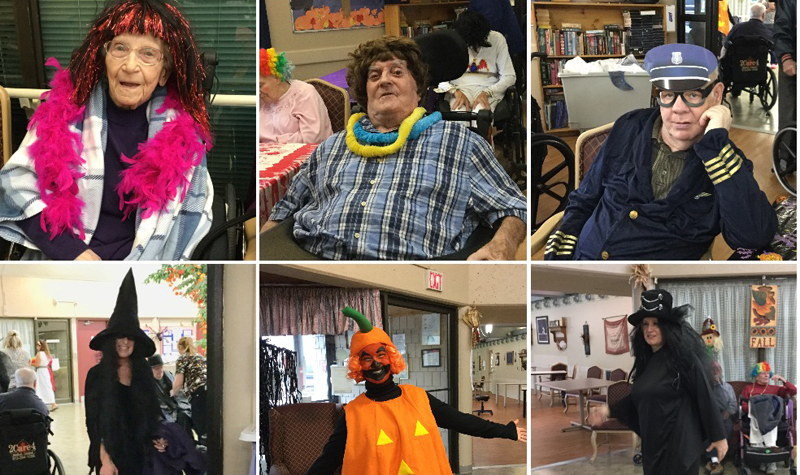 The Jasper long-term care home marked Oct. 31 with a Halloween party, during which residents and staff members enjoyed musical entertainment, cake and grab bags of candy. Residents and staff members got into the Halloween spirit by dressing up in costume. They then voted for their favourites. A male staff member, who dressed as Robin, was a big hit for bringing to work his newborn who was dressed as Batman. There were a variety of costumes on parade, with a resident dressed as a bride taking home the title of favourite costume for the residents. A staff member dressed as a pumpkin, which included painting her face orange, was also a fan favourite. Meanwhile, Pleasant Meadow Manor is Norwood had its share of costumed characters. The home hosted a Halloween party, which was followed by greeting the trick-or-treaters who arrived at the door. “Residents enjoy watch the staff get dressed up,” Chris Garden tells The OMNIway. There was a cow, a Care Bear, valley girls, witches, a cat, a ladybug and more. About 20-25 people participated in the costume party, which included live entertainment by a group called Darlene & the Shamrockers.